Jones IT provides WiFi and Network Support to businesses in San Francisco Bay Area and beyond. We have expertise in enterprise grade network hardware, including Cisco Meraki, Ruckus, Aruba HPE, and many more. The most common calls we get are from businesses looking for help with their WiFi. We hear reports of spotty WiFi, slow WiFi, drops in the WiFi, crappy WiFi, sh!%ty WiFi… you get the point. If any of those sound familiar to you, then you should know that you’re not alone. The fact is that getting WiFi to work in a business can be a real challenge. This is especially true in a densely populated city like San Francisco where there is a startup in every building and ruthless competition for wireless frequencies. For the purposes of simplicity, when we refer to, “WiFi” we’re talking about all of the factors involved in getting a solid connection to the internet. 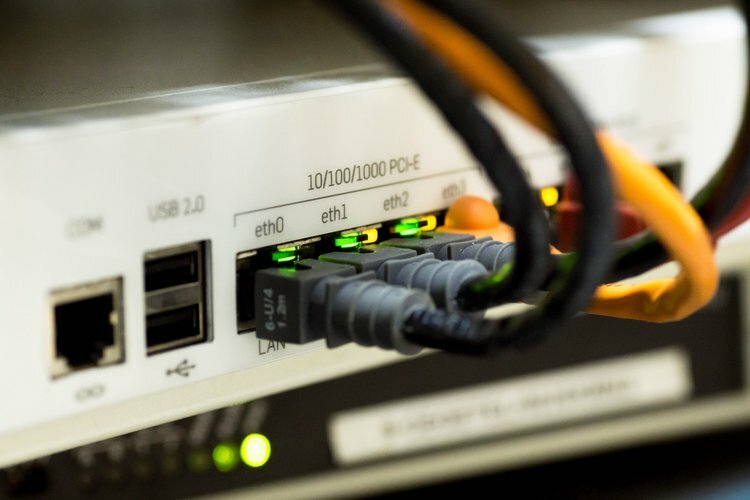 Fast WiFi involves having the right hardware, the right internet service provider (ISP), and the right placement of wireless access points (WAPs) in your office. if your office exhibits the following signs frequently, it is a strong indication that you need to have a professional look at your WiFi network. Your employees are tied to their Ethernet cables. Ease Of Management: With Business-grade gear, you can push out any changes to configurations made centrally to the entire setup. Support For Multiple WiFi Networks: Business-grade access points support multiple wireless networks also called SSID (service set identifier). This gives you significant flexibility as well as security. Multiple Access Points: Once the number of network users increases, so will the floor space and also the number of access points. Business-grade WiFi equipment allows central management of multiple access points. Wiring: A solid underlying wired network is essential in supplying the necessary bandwidth to the access points. Further, using PoE (Power over Ethernet) can help to eliminate the need for separate power cables. Security: Business-grade equipment allows you to create SSIDs configured for each user authentication. Using a networking protocol RADIUS (Remote Authentication Dial-In User) on the back-end allows you to manage access to your internal network, internet, and e-mail services. Why Jones IT is the preferred NetWOrk Support Services Company in the Bay Area? We are the WiFi and Network experts of San Francisco. Our specialty lies in taking your WiFi to warp speed so your team can function faster than ever before. We have been helping businesses in the San Francisco Bay Area and beyond by providing WiFi Support to ensure lightning fast WiFi speed. We diagnose, troubleshoot, and fix slow network and WiFi issues to set you up with the right WiFi network for your team. We also perform network monitoring and set up alerts so we know if and when important services are offline. Our team is trained in all of the major enterprise-grade network hardware, including Cisco Meraki, Ruckus, Aruba HPE, and many more. We will source, install, configure, and support all the equipment necessary for high-performance, secure wireless networks.